Alcohol can do irreparable damage to both mind and body if something does not happen to change unhealthy relationships with the substance. Despite the fact drinking in America is—relatively speaking—a past time; the average American has little clue about the dangers of that which they imbibe. Myths and misconceptions surround all mind-altering chemicals; however, legal substances tend to bring about the most confusion for people. It makes sense if you think about it, if alcohol is legal how dangerous could it "actually" be? Research tells us that only 15 percent of drinkers will develop an addiction, so for most people alcoholism will not be their lot. Despite the risk of alcohol use disorder being somewhat slight in the grand scale of things, it is still possible for alcohol to cause significant harm to even moderate drinkers. Unfortunately, most individuals—particularly teenagers and young adults—are unaware that drinking can cause life-threatening problems in a short period. Young people often drink in ways that are problematic, typically drinking as much as they can as fast as they are able. The practice is known as binge drinking; and, some would argue the behavior is synonymous with college life. Male binge drinkers consume 5 or more drinks, or women consume 4 or more drinks in about 2 hours. Those who choose to drink in such a manner are mostly non-alcoholic, although the behavior often precipitates or is a marker of alcohol use disorder. While binge drinking usually begins in college, in many cases it persists long after the mortarboard is thrown in the air. 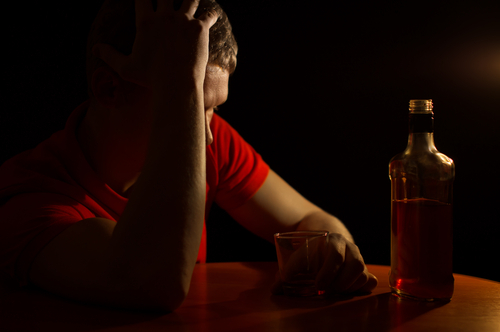 Most people are familiar with liver disease or cirrhosis; and, they associate it with end-stage alcoholism. After years of habitual heavy drinking, organ damage is a foregone conclusion. While it’s true that doctors regularly diagnose older alcoholics with cirrhosis, it is possible for younger adults to develop the condition, as well. If more young people were aware of the little time it takes to bring about liver disease, then maybe they would curtail or curb the practice of binge drinking altogether. New research, published in the British Medical Journal, indicates a significant rise in deaths from liver disease in the United States, NBC News reports. In fact, since 1999 deaths from cirrhosis of the liver rose by 65 percent; and, annual deaths from hepatocellular carcinoma (liver cancer) doubled (11,073) during the same period. Perhaps most concerning from the research is that the most notable increase in deaths from liver disease is among millennials, according to the article. Liver cancer and cirrhosis can result from both obesity and heavy alcohol consumption, and researchers believe that those two factors are behind the dramatic spike in such conditions among young people in recent years. If your use of alcohol has created severe problems in your life—physically, mentally, financially, or socially— it is possible that you meet the criteria for an alcohol use disorder. At Hope by the Sea, we can help you stem the tide of alcohol addiction and provide you with tools for leading a productive, healthy life in recovery. Please contact us today to learn more about our various programs. The miracle of recovery can be yours too.